I am here to report that this is the most simple, straight-forward, DELICIOUSLY amazing bread ever. It is just 3 ingredients (plus water!) Can you believe it?! 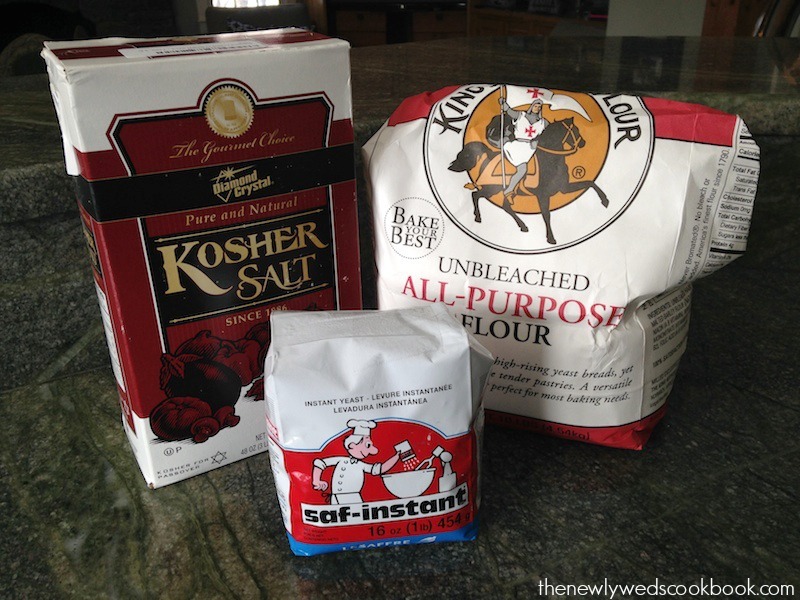 Kosher salt, unbleached all-purpose flour, and instant yeast. My mom taught me how to make this amazing bread that I am about to share with you. You may wonder how I all of a sudden got granite counter tops..sad news, I didn’t..I made this bread at my parent’s house after church. 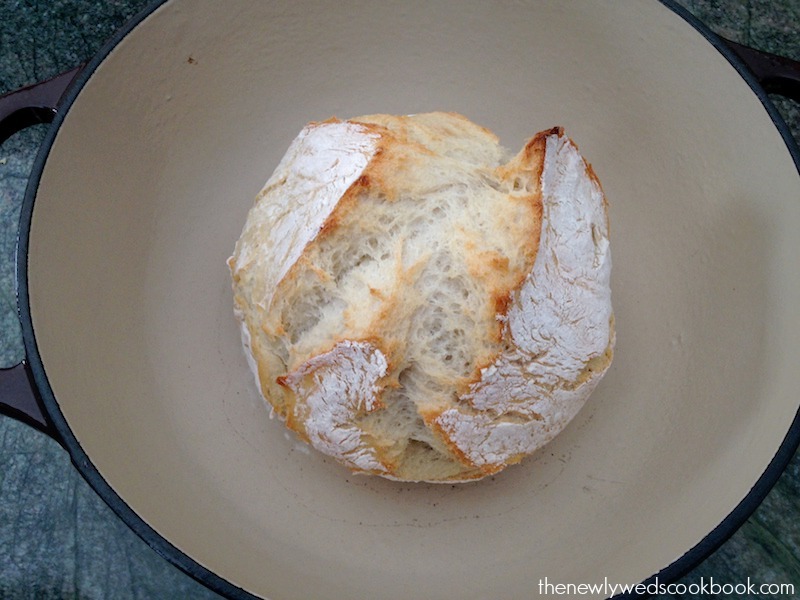 Read below for the directions for this mind blowing artisan no-knead bread. 1. 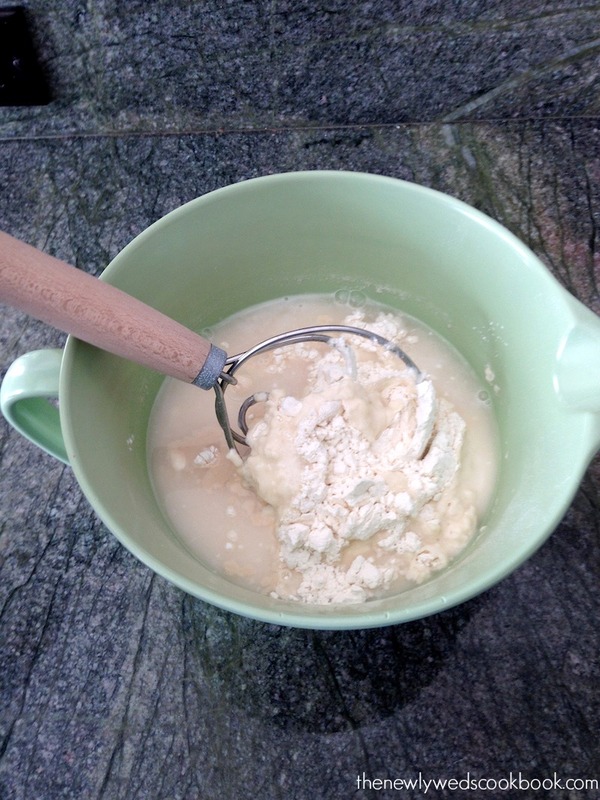 Mix the listed ingredients above together in a bowl. Preferably with a dough whisk. 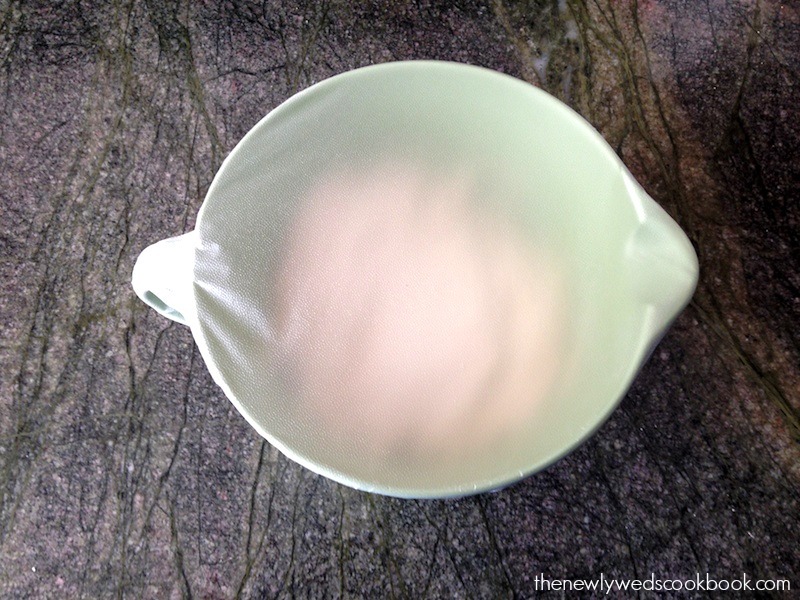 Don’t over mix – this is a no-knead bread! 2. Cover the bowl with plastic wrap and let sit at room temperature for about 12 hours. 3. If you have an enamel coated cast iron pot (a dutch oven), stick it in the oven at 450 degrees with lid on for 30 minutes, without the dough in it. 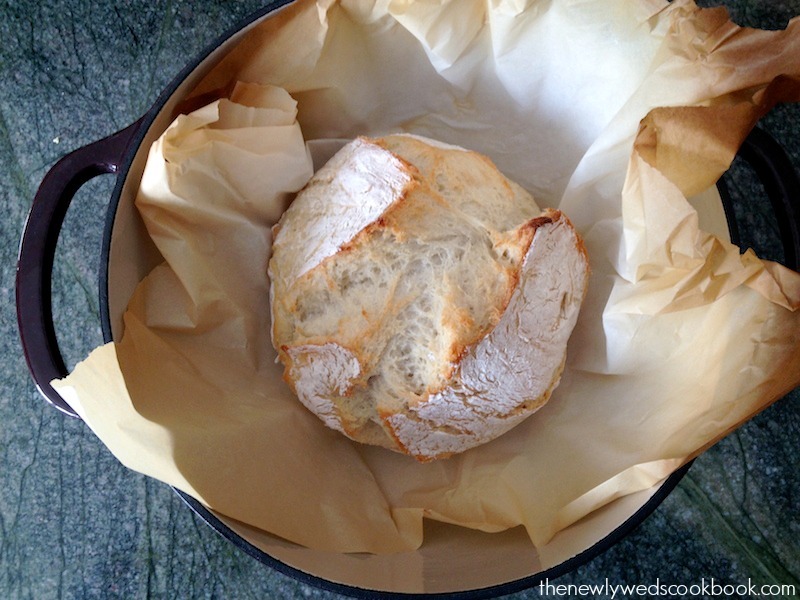 If you don’t have an enamel coated cast iron pot (a dutch oven), that’s fine. Anything with a lid that can go in the oven will do! 4. Meanwhile, remove the bread from the bowl and place onto a pasty cloth or parchment paper and coat generously with flour. 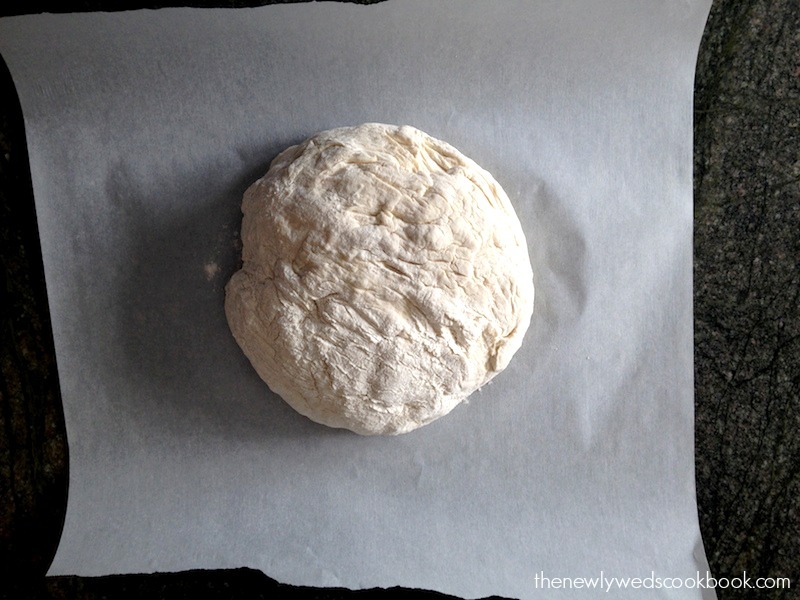 Form the dough into a ball and place on parchment paper in the cast iron pot with the lid on in the oven. 5. Bake covered in the oven for 30 minutes (covered), then an additional 15 minutes (uncovered). 6. Take it out of the oven and let cool, or just eat it! Either way 🙂 Enjoy!